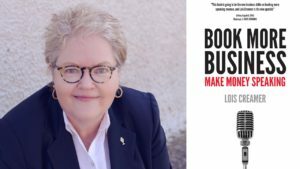 Book More Business is the definitive guide on the business of speaking. In the pages of this book, you’ll find everything you need to know for jump-starting your speaking business or taking an already-successful speaking business to the next level. At the core of these lessons is the imperative to make money speaking. I’ve been in the speaking industry 20 years and have met several professionals who help authors. When I met Cathy I knew I wanted her expertise to guide me along the way. She was helpful in every aspect of this book, and she held my feet to the fire to make sure it got done! I highly recommend her. To order Book More Business click here.